For my ninth giveaway I am offering one lucky reader a bottle of Luc Belaire Rose worth £27.50 from Amazon. I've had some really great wines from Amazon. I really enjoyed their Tussock Jumper Malbec. It was a rich and very drinkable red wine, that I can highly recommend, but this Sparkling Rose is definitely the one for special occasions. It's the number one bestseller in Amazon's sparkling wine collection and is the favourite tipple of American rapper Rick Ross. I shan't embarrass myself by admitting I don't know who the heck he is, but after a google search I noticed he does have a bottle of this in his hands rather a lot. France's most exquisite sparkling rose, crafted by fifth and sixth generation winemakers at our Maison established in 1898. 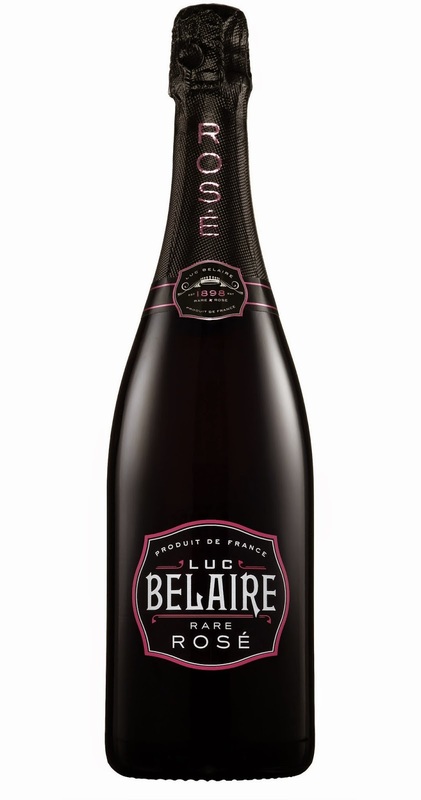 Unique, luxurious package: a black bottle with silk screened labels, topped by a sleek black Champagne foil with pink accents. Fills the huge gap between category-leading rose Champagnes and entry-level Cava and Prosecco brands with a premium French identity. I'd say if you can afford to, buy a bottle of this and a couple bottles of Prosecco for New Year and you're good to go. Also something to think about if you have a crowd for Christmas is a special offer at Amazon at the moment. 12 Bottles of premium wines (red and white) for £49 instaed of the regular price £122.88. Quite a bargain! 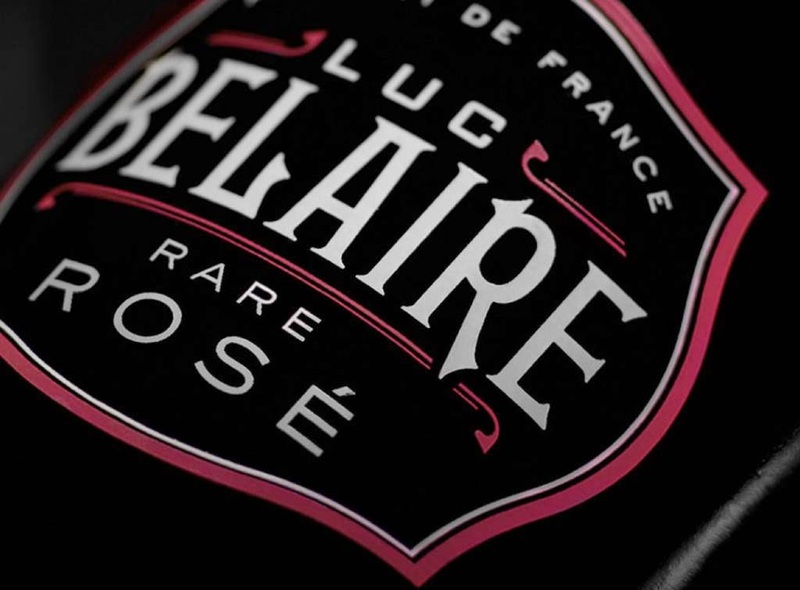 Want to win a bottle of Luc Belaire Rose? Simply leave me a comment telling me if you actually know who Rick Ross is? Yes I am intrigue to find out if my readers are as clueless as I am. Then enter using the rafflecopter box below (it may take a moment to load). This giveaway is open to my UK readers (who are over 18) and closes on the 29 December 2014. My son loves Rick Ross - he is only 3 and possibly shouldn't listen to rap music - my husband has to download all the clean radio versions for him! I on the other hand, love sparkling rose! and your blog which I only found last week and have been devouring! I also have zero idea who Rick Ross is, you're not alone! Sorry, haven't a clue! I am more into pop! No idea! who is he? Nope never heard of him, Sorry Rick Ross! Wish I could enlighten you but no, I've no idea. ahhh, rick Ross .... Er, no, sorry, I am in the same boat at the rest of you. Before I Googled him, afraid not. I didn't know, had to google him! I've heard of him. I think he's quite fat. Never ever heard of him! nope, never heard of him! Sorry not heard of him! Never heard of him, sorry, I'm a fan of Rock music! From the other comments, I guess he is a rap star, but I thought you were referring to the Crimewatch presenter. I'm with you. No idea. Never heard of him. Only know of Ricky Ross from Deacon Blue! No. Never heard of him. I'm afraid I don't know him. I can't say I do. It's not really my kind of thing. Never even heard the name before! No sorry, I have at least usually heard of people but sorry not in this case! Er, nope, didn't have a clue! No, but just Googled him so I've learned something today. Is he a mate? nope i've never heard of him! Clueless! But I'm reminded of Kriss Kross... remember them? Uh... not a clue who that is. No sorry! But I don't listen to rap music! I'd never heard of him either but have Googled him now! Oh wow, Rick Reezy? That is a name I did NOT expect to see on this blog! I love it! Like to say Yes, but the answer is nope. Never heard of him, sorry! ha ha even read it as the wrong name. lol good luck everyone. I'm not big on rap & haven't heard of him! Sorry but I have never heard of him, although I have now done a search to see who he is! never heard of him guess its a sign that I am getting older! Nope never heard of him! Nope. Not heard of this wine either, but I love fizz. Sounds like a double entendre to me....and, er, no!! Nope, I haven't a clue, either. Well I've listened to some of his music on you tube and am still none the wiser. He does have a number of well known artists featuring on his raps though. I do now I have googled him! I've heard the name but couldn't pick him out of a line-up! nope not heard of him , must be getting old !! Sorry - I have never heard of him! Sorry never heard of him! Sorry have never heard of him! No never heard of him. No - give us a clue. I do! But only because I know he had a seizure and nearly died, and my dad is epileptic... so somehow that knowledge weirdly stuck in my brain.